That's right theatre fans. The first Broadway revival of Once On This Island has found a home. The show, which began Off-Broadway at Playwright's Horizon in May 1990, before transferring to Broadway in October of that year, will begin previews at the Circle In The Square Theatre on November 9. Opening night is scheduled for December 3. Now I love the show. Unfortunately it closed a few weeks before I moved here, so I never got to see it. You better believe I won't miss it this time around. Tickets for the ninety minute musical are now on sale. Not only that, but we are selling them. 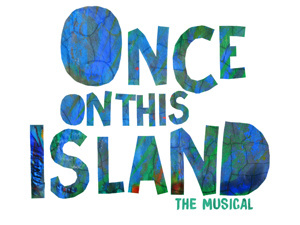 Get your tickets to see Once On This Island on Broadway at the Circle In The Square Theatre. Who knows? You might just see me there. Until next time theatre fans.